Decision making can be an emotional experience. We don’t make decisions on hard facts. We make decisions based on our emotions. 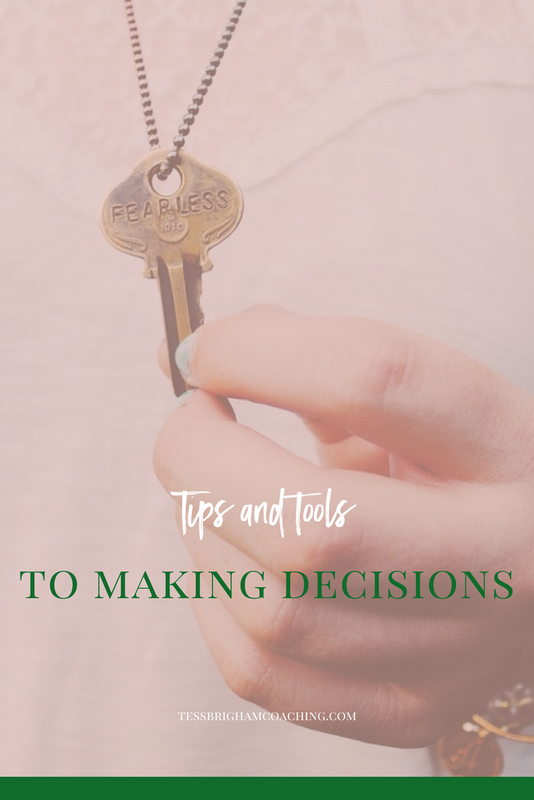 If you’re trying to change and create new habits, you can easily get bogged down by having to make a number of decisions. Which is why when it comes to the smaller decisions you make every day you want to decide ahead of time. This allows you to eliminate the constant decision making and form habits. For instance, if you decide you want to get healthy and eat better you make the decision you eat salad for lunch. This way when you go to order lunch you’re not trying to decide between the salad and the burger. You just order the salad because you’ve made the decision ahead of time. Unfortunately, when it comes to larger decisions, it’s not so easy. Bigger decisions require you to have a vision for who you are and how you want to show up at work, with your friends and in relationships. Continue to be aware of your likes and dislikes. Monitor what kinds of people or activities make you happy and bring you meaning, these are clues to what you value. When you know what you value, decisions are very clear cut. There’s a decision making tool called the “if then” technique. In each circumstance, you clearly determine what your “if” is and what your “then” is. For instance a coworker is making you feel uncomfortable with some of his comments and you don’t know what to do you can use this tool. IF your co-worker makes another comment that makes you feel uncomfortable, THEN you talk to a manager within 24 hours. IF your best friend bails on you again last minute, THEN you’re going to tell her how you feel. Another tool is the timer method. You set a timer for twenty minutes. Once the twenty minutes is up, you must make the decision. Or you could take this one a step further and and implement the Five Second Rule from Mel Robbins. As it indicates, you have five seconds from the point you decide to do something to the point of action. Decisions can be challenging. Instead of working against your emotions, lean into them. Use them. Rely on them. Use your body, your heart and your mind. If you really struggle with your decisions, use a timer or the Five Second Rule. The decision is yours and it will get made. Is There a Magic Formula to Decision Making?